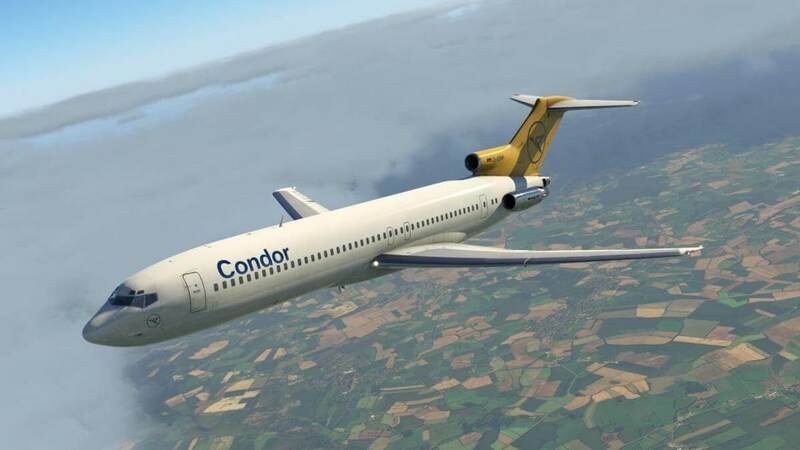 On behalf of X-Plane.Org user Atarium, we’re pleased to inform you that we’re approved to offer his FlyJSim 727 version 3 liveries. 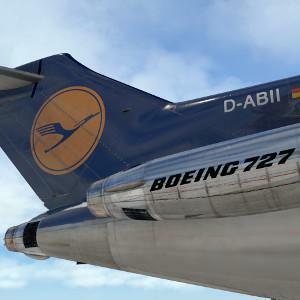 According to Atarium “This is one of my liveries for the wonderful B727-100 V3 made by Flyjsim. 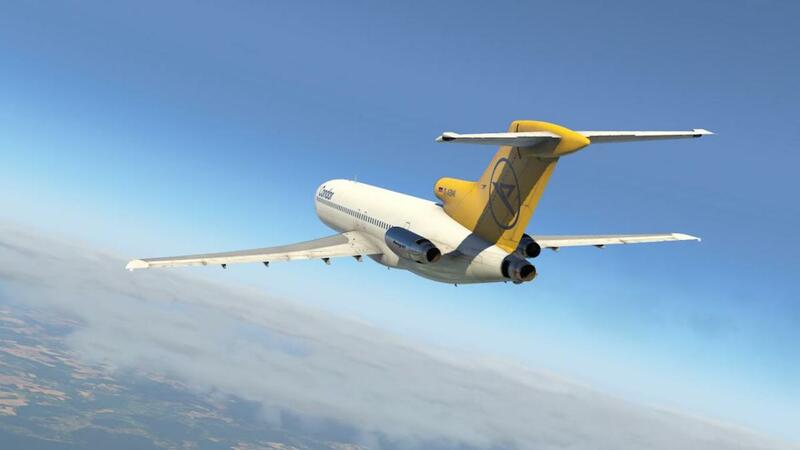 Some additional words about this beauty … the versatility and reliability of the Boeing 727 — the first trijet introduced into commercial service — made it the best-selling airliner in the world during the first 30 years of jet transport service. The jet age essentially began in 1952 with the introduction of the British-designed de Havilland Comet. Several jetliners, including the Boeing 707, were developed before the 727, but none came close to its sales record. Production of the 727 extended from the early 1960s to August 1984, which is a remarkable length of time, considering the original market forecast was for 250 airplanes. As it turned out, 1,831 were delivered. 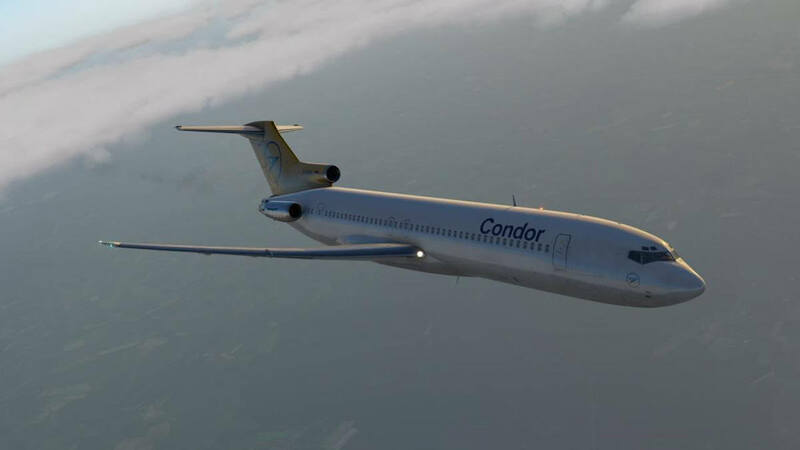 Twenty years later, when the last 727 was delivered, this versatile fleet was carrying 13 million passengers each month. As of January 2001, nearly 1,300 of the reliable aircraft were still in service. Let’s go back to the good old days, back to the famous tri-jet known as the Boeing 727 Series or was the 727 known as “Whisperjet”, “3-holer”, “Tri-jet”, “Trisaurus”, “Triple Chrome-plated Stovepipe”, “Jurassic Jet” and finally also known as “Ear Blaster”. If you like my work and you would like to support me you can donate to this link https://www.paypal.me/Atarium. It´s of course not necessary and you are free to do so, but it´s greatly appreciated.